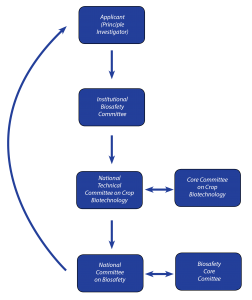 Modern biotechnology offers powerful tools for improving agricultural productivity, environmental sustainability, and nutritional quality of foods. 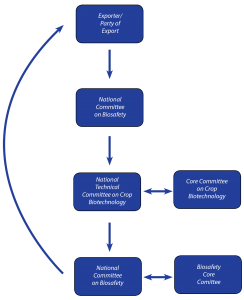 New crop varieties developed using biotechnology are cultivated by millions of large and small farmers in both industrial and developing countries. This website serves as a resource to strengthen compliance with the regulatory framework and also to effectively facilitate research and development of agricultural biotechnology activities in Bangladesh through the regulatory process for the benefit of farmers and societies. 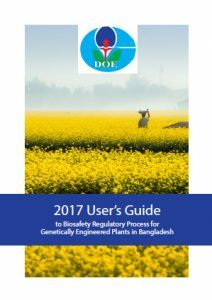 Access the User's Guide to Biosafety Regulatory Process for GE Plants in Bangladesh, an informational resource for applicants and other stakeholders interested in understanding the regulatory processes associated with biosafety regulation in Bangladesh. It addresses applications for confined field trials, renewal applications for confined field trials, applications for environmental release for cultivation, importations for use in food, feed and processing, or importations for release into the environment. 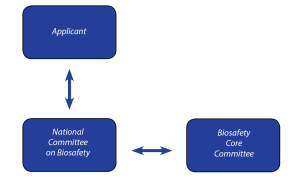 Explore this site for biosafety information, regulatory guidelines and general biosafety resources. Make sure to visit frequently to see the latest material posted on this portal. To view a complementary site for India managed by the Indian Council of Agricultural Research (ICAR), please visit the ICAR biosafety portal.